We specialize in martial arts classes tailored by age group for kids. 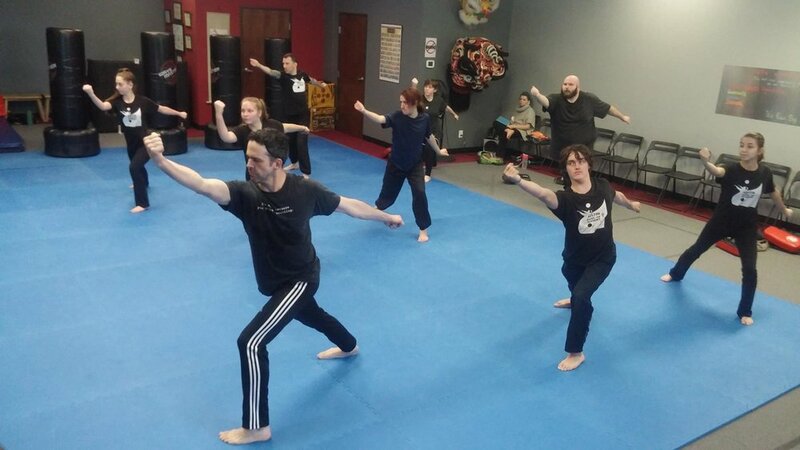 Our adult programs range from Kung-Fu and Self Defense Jiu-Jitsu Basics to Cardio and Tai Chi classes! We offer age specific classes for children, starting as young as 5 years old! We coach them on how to perform to the best of their abilities, with full mind-body-spirit connection. We coach them on having an empowered mindset to realize their potential, while also learning what it means to show good citizenship. Our classes for adults focus on developing a solid foundation in martial arts, with a highly structured, goal driven approach. We do our best to help you reach your best performance! Along with developing the martial arts mindset, you develop greater fitness, and the ability to defend yourself.